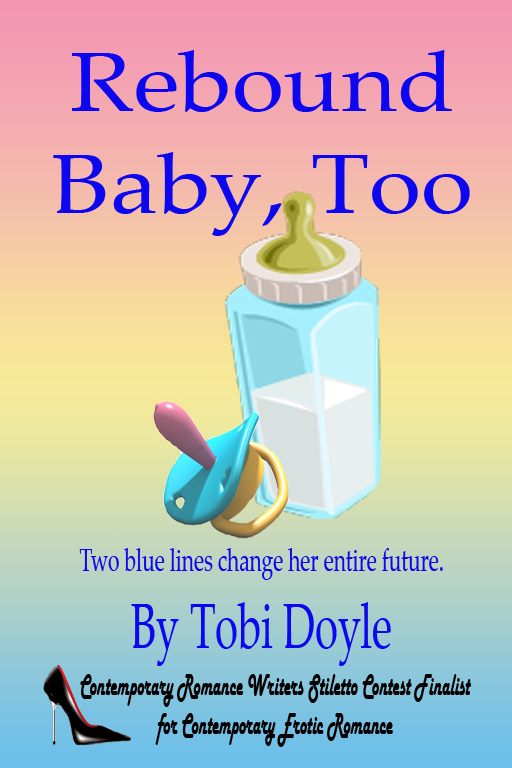 March 14-18 Rebound Baby, Too is enrolled in a Kindle Countdown Deal. Save 67% and order today for only 99 cents. Anna Kincaid’s celebrates her divorce by engaging in the best one night stand of her life with an account executive from her work. Although, dating interns is definitely taboo, Jake doesn’t care. He recognizes Anna is something special and he’s ready to risk everything for the chance to know her. Anna doesn’t trust her instincts when it comes to men. After all, her first husband was Prince Charming, right until she was no longer the damsel in distress; then he became controlling and mean. When she realizes she’s pregnant she’s not sure she can trust Jake’s intentions. Would he marry her because it’s the right thing to do? She’s not willing to settle in marriage ever again. Can she trust that it’s more than infatuation? Jake works hard to prove to that he’s serious about their relationship. He knows that she’s his perfect match; she’s brilliant, funny, and beautiful. She is his better half he just needs to convince her to trust herself again. WTF Wednesday Is Joe Biden attempting to #BeBetty? #ManCandyMonday Colin Farrell… a favorite Irish import.